Double-knee jeans are great -- and we've got plenty of 'em -- but some jobs demand more -- double protection both above and below the knees. These Wrangler Riggs Men's Antique Indigo 3W030 AI Double Front Utility Jeans give you just that -- two layers of fabric tha ... (see full details) (see specifications) #WRG3W030AI. Double-knee jeans are great -- and we've got plenty of 'em -- but some jobs demand more -- double protection both above and below the knees. These Wrangler Riggs Men's Antique Indigo 3W030 AI Double Front Utility Jeans give you just that -- two layers of fabric that extend up toward the thigh and down the leg below the knee for added durability. The double-front panel is just the beginning when it comes to tough wear. Manufactured in heavy-duty 14.5-ounce 100% cotton Durashield® denim, these work pants are tough all over. Durashield® denim is made to retain color and to resist abrasion with fibers that move during wearing and washing. They're also constructed with triple-needle stitching, a tough #5 YKK zipper, and sturdy 1/4-inch by 2 1/4-inch belt loops. Sure they're tough, but what about comfort? These utility pants check that box with a high rise and a relaxed fit, the Riggs exclusive Room2Move® fit that delivers more mobility, with an improved fit in the seat, thigh, knee, and bottom leg openings plus an action-gusseted crotch for added freedom of movement. Dirt drop vents help ensure you leave the dirt at the job site. Durability and comfort are just the beginning. These utility jeans are practical, with plenty of pockets. Up front, the watch pocket is oversized so you can really use it. The 13-inch deep pockets feature 7.25-ounce white pocketing and a patented tape-measure reinforcement so you can keep it handy without wearing out the pocket. Around back, the pockets are reinforced in stress areas and lined with 1000-Denier Cordura fabric, the standard for toughness that outperforms standard nylons, polypropylene, vinyl, cotton, and leather by factors up to 10! For added convenience, there's a hammer loop and utility pocket on the right side and another utility pocket on the left side. You'll have plenty of storage when you're wearing these work pants. The antique indigo color and stitching details make this pair as stylish as they are reliable. For really tough work that requires double-front durability, these Wrangler Riggs Men's Antique Indigo AI Utility Double Front Utility Jeans deliver. Buy yours now at Working Person's Store! Apart from the color, these are pretty tough jeans. I bought a Carhatt Utility Double Knee before and really really like it. then I saw this Wangler and thought I would compare quality. The Carhartt cost a little more but as far as quality goes they are both on par. Great purchase, should get some wear out of this. Wrangler generous fit and super deep pockets. Super stitching, rivets, extra pockets, cordura lined rear pockets, Heavy denim... etc, etc. First impression is these have a better fit and are a softer weave than that of other brand jeans. These should last years in the field. Every since I found these Wrangler Riggs jeans and shorts that is all I will buy. Before that I wore Carhatt or Dickies, but the Wrangler Riggs are way better. A lot of thought went into these jeans. Love the 13” deep pockets, reinforced right front pocket, Condura lined rear pockets, etc. I have bought several different styles of Wrangler Riggs jeans but the Wrangler Riggs Utility Double Knee jeans are my favorite. I work at a lumber yard and I am rough on jeans, but they are very tough. I also like that they come in a 35 waist. The 36 is to big and the 34 is to tight but the 35 are just right. I just ordered another pair. These jeans were purchased because a fellow employee had them and loved them. I have to agree. They wash well and are nice and soft. The fit is perfect. I would definitely recommend these for great quality and price. 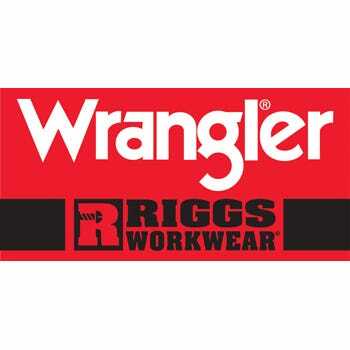 I have been very happy with all the Wrangler Riggs wear that I have ordered and will continue to purchase them. Best pants ever! Long lasting and very durable. I would recommend them to anyone that need to work on their knees a lot. There are also a lot of sizes to choose from to get the perfect fit and the color is great too. They are just as good of quality as the Carhartt brand but cheaper. I have bought these Wrangler jeans for multiple men in the family. Wrangler Riggs Jeans: Men's Antique Indigo 3W030 AI Double Front Utility Jeans is being added to your cart.